Western Australian politician Julie Bishop has announced that she no longer wants to be Foreign Minister and will head to the backbench when parliament resumes. Bishop was knocked out in the first round of the Liberal leadership battle with just eleven of her colleagues voting for her to become leader. After five years in the role Bishop has now told new Prime Minister Scott Morrison that she no longer wants the job. “I will remain on the backbench as a strong voice for Western Australia,” Ms Bishop said in a statement. The 62-year old Liberal heavy-weight said she had not made a decision about retiring from politics all-together and would weigh up whether or not she’d stand at the next federal election. New Prime Minister Scott Morrison is expected to unveil his new cabinet later on Sunday afternoon. Christopher Pyne and Steve Ciobo are possible replacements for Bishop in the Foreign Affairs portfolio. Earlier today on the ABC Insiders program Education Minister Simon Birmingham described Bishop as “the most significant woman in the history of the Liberal Party”. Former Prime Minister Malcolm Turnbull tweeted praise to Bishop saying she had been the nation’s finest Foreign Minister and an inspiration to women globally. “I thank Julie for her loyalty and friendship over many years but especially as my Deputy. She has been and remains an inspiring role model for women here and around the world.” Turnbull said. Labor’s Foreign Affairs spokesperson Penny Wong paid tribute to Julie Bishop’s service describing her as a “trailblazer” for women. “For five years she has dedicated her life to our nation with a tireless work ethic and exhausting travel schedule,” Senator Wong said. 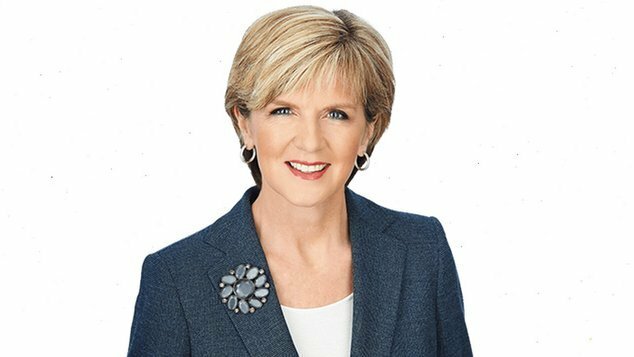 “While Labor has at times been critical of the foreign policy directions under prime ministers Abbott and Turnbull, Ms Bishop’s commitment to standing up for Australia both here and abroad has never been in question. “In particular I have deeply appreciated her commitment to bipartisanship, and her personal courtesy to me.” Senator Wong said. Some supporters have suggested that Bishop could be Australia’s next Governor General when Sir Peter Cosgrove’s term expires next year.